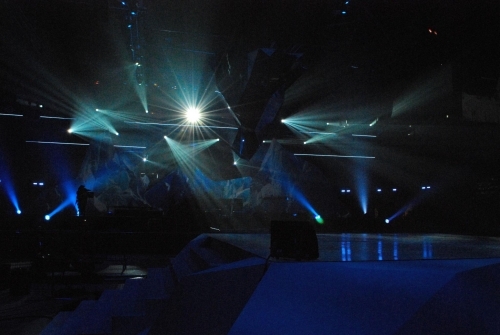 On Friday, April 16th the media were allowed a sneak peek at the shiny new set designed for the 2010 Junos in St. Johns, Newfoundland. 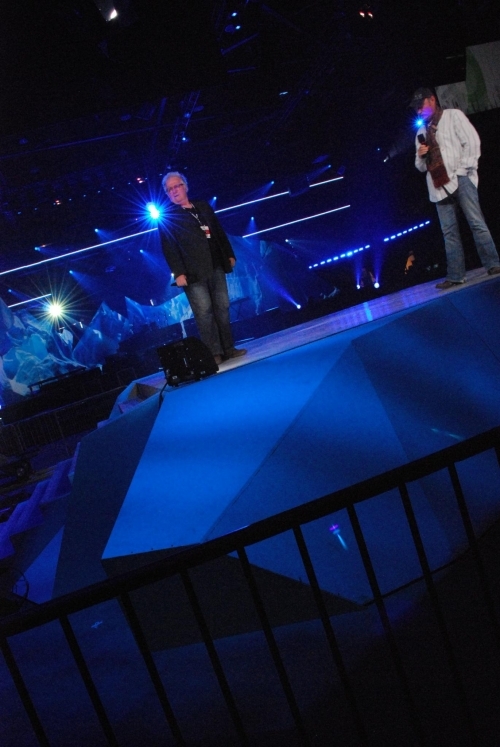 Executive producer John Brunton and set designer Peter Faragher were present at the reveal to answer questions pertaining to the design, the lay-out and the weather. Brunton said one of his goals is to "keep the Vancouver vibe going and send it back across the country." Like the Olympic opening and closing ceremonies, the Junos set features large structures of canvas and steel with projected images: this time it's icebergs. Fans will be able to get close to the stage, near enough to stand right in front, which will give the awards ceremony a concert feel. A "disco ball inverted iceberg" will enhance this feeling as well. The Junos will be in 3D, with parallel festivities happening on George Street (the St. Johns' equivalent of the Granville strip.) The party street is lined with bars and pubs and performances will occur both indoors and out. There will be 10 – 15 hosts of various cultural importance to Canada, including several Olympians. As for the weather? Faragher warns Junos attendees to "expect four seasons in one day."